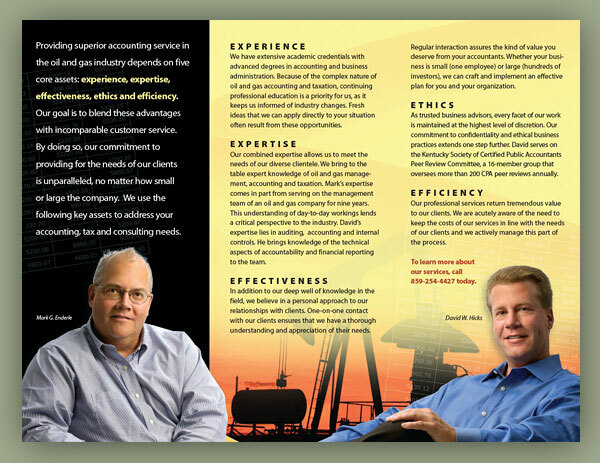 Mark Enderle and David Hicks contacted the Arion Group to create a promotional brochure for potential clients in the oil and gas industry. This was a segment of the market they hadn’t targeted before and they felt their expertise in this area could bring new business. 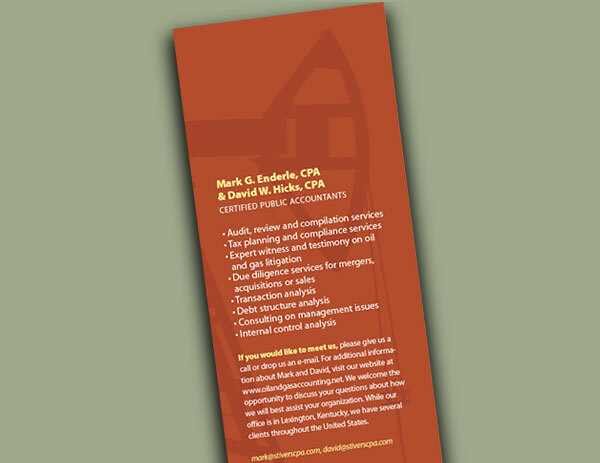 The copy on the inside of the brochure was organized around five core assets: experience, expertise, effectiveness, ethics, and efficiency (we called them the Five E’s). 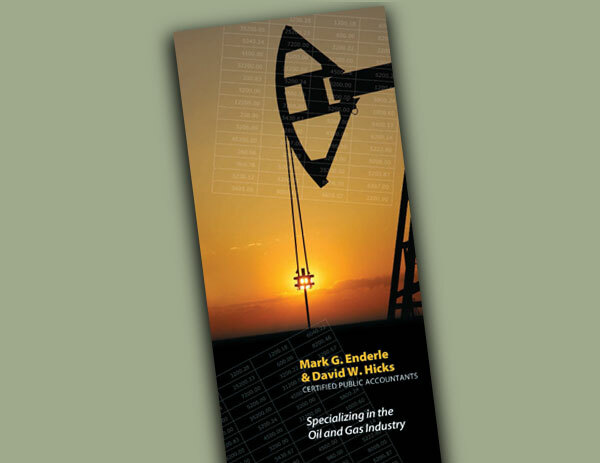 Black was used in addition to warm colors to appeal to people in the oil and gas industry and reflect a high level of professionalism. 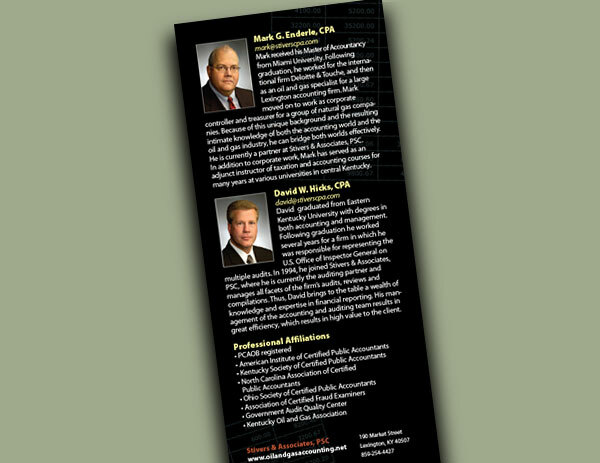 Photographs of Mark and David were taken in casual business attire and placed in a welcoming pose on the inside, as if they were sitting across the desk from their potential clients.